Group discount expires Friday, October 11, 2019, 5:00 p.m. central standard time. Group rate starting at $199 per night exclusive of applicable taxes and fees. New Orleans is a Louisiana city on the Mississippi River, near the Gulf of Mexico. 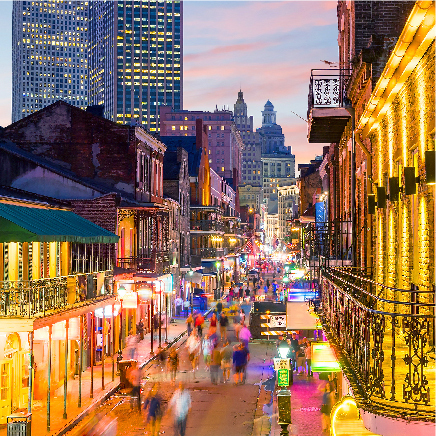 Nicknamed the "Big Easy," it's known for its round-the-clock nightlife, vibrant live-music scene and spicy, singular cuisine reflecting its history as a melting pot of French, African and American cultures. Embodying its festive spirit is Mardi Gras, the late-winter carnival famed for raucous costumed parades and street parties. Imagine meeting in a city where cultures collide in a brilliant explosion of flavors, emotions, and sounds. New Orleans is the birthplace of jazz, home to Creole cuisine, and rich with history and culture. It also has a walkable downtown and world-class convention facilities. With more than $1.57 billion worth of improvements to the city in 2013, New Orleans remains an authentic destination, a place like no other. New Orleans combines big-city choices with small town friendliness. Because most of the city’s restaurants, attractions, tours, accommodations, and event venues are within walking distance of one another, it’s easy to get around. Enjoy the journey and laissez les bons temps rouler—let the good times roll! Food in New Orleans is a serious affair. 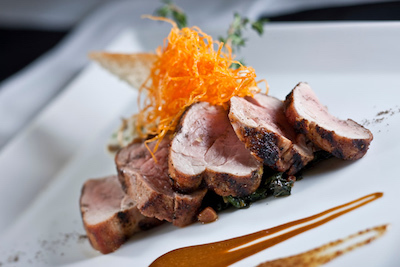 With more than 1,300 restaurants, the city offers one of the most incredible—and incredibly diverse—concentrations of unforgettable food in the world, including Creole, Cajun, and French cuisine, along with Latin, Asian, and Italian dishes served with Louisiana flair. Photo courtesy New Orleans Convention and Visitors Bureau.